"Photos: Denmark town hopes today's solar energy will pay off tomorrow" was first published by The Texas Tribune, a nonprofit, nonpartisan media organization that informs Texans — and engages with them — about public policy, politics, government and statewide issues. This photo gallery is part of a series about global and local efforts to conserve energy and limit pollution through energy efficiency. GRAM, Denmark — This town of about 2,500 in southern Denmark has found a highly efficient way to heat its homes while limiting the stress on the nation's electrical grid: by capturing and storing energy from the sun. Built in 2009 and upgraded since, a more than 482,000-square-foot solar field — connected to a massive water storage pit and a network of underground pipes — can meet 60 percent of the town's heating demands. Reporting for this series was funded through a Transatlantic Energy and Climate Network fellowship, a project of the nonprofit Heinrich Böll Foundation in Washington, D.C. A complete list of Tribune donors and sponsors can be viewed here. Photos: Denmark town hopes today's solar energy will pay off tomorrow By Sofia Busk and Jim Malewitz November 22, 2016 This photo gallery is part of a series about global and local efforts to conserve energy and limit pollution through energy efficiency. GRAM, Denmark — This town of about 2,500 in southern Denmark has found a highly efficient way to heat its homes while limiting the stress on the nation's electrical grid: by capturing and storing energy from the sun. 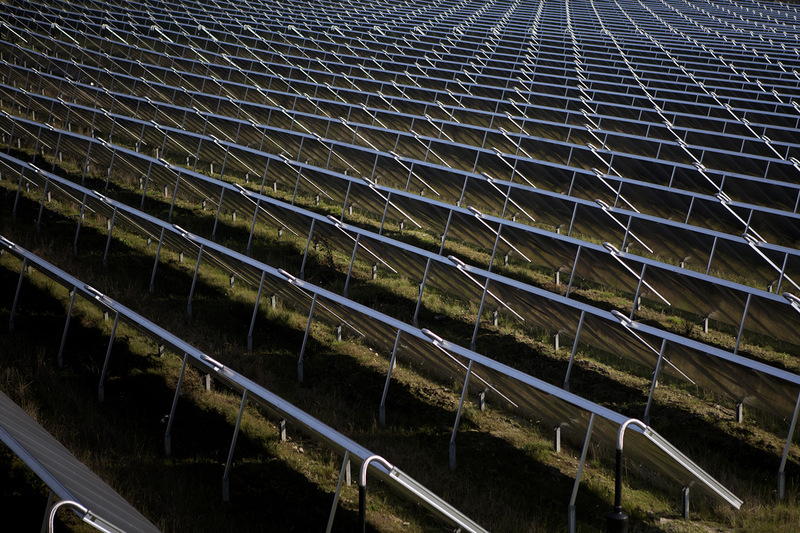 Built in 2009 and upgraded since, a more than 482,000-square-foot solar field — connected to a massive water storage pit and a network of underground pipes — can meet 60 percent of the town's heating demands. 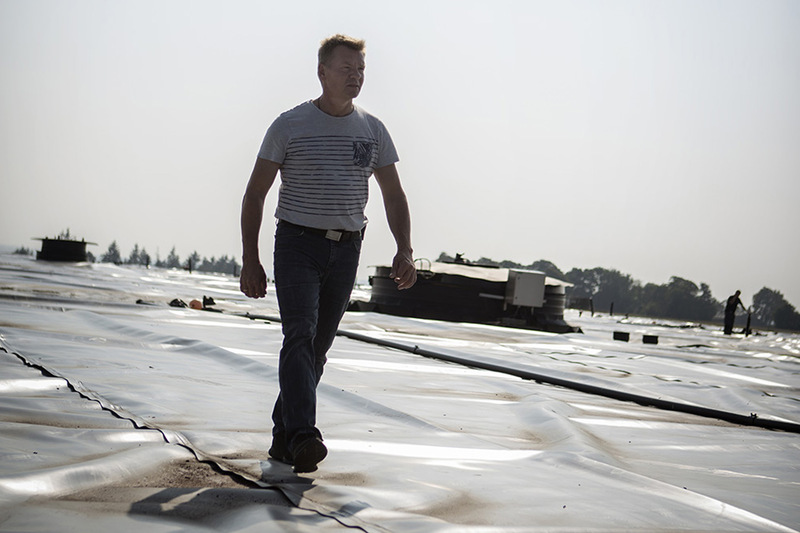 Lars Damkjær, managing director of Gram District Heating, walks among hundreds of rows of solar thermal panels in September 2016. When the town built the plant’s first section — with photovoltaic panels spanning 107,000 square feet — it was the world’s largest plant of its kind built in one piece, and it met about 15 percent of the town’s energy demands. Major additions have allowed the project to quadruple its heating output. 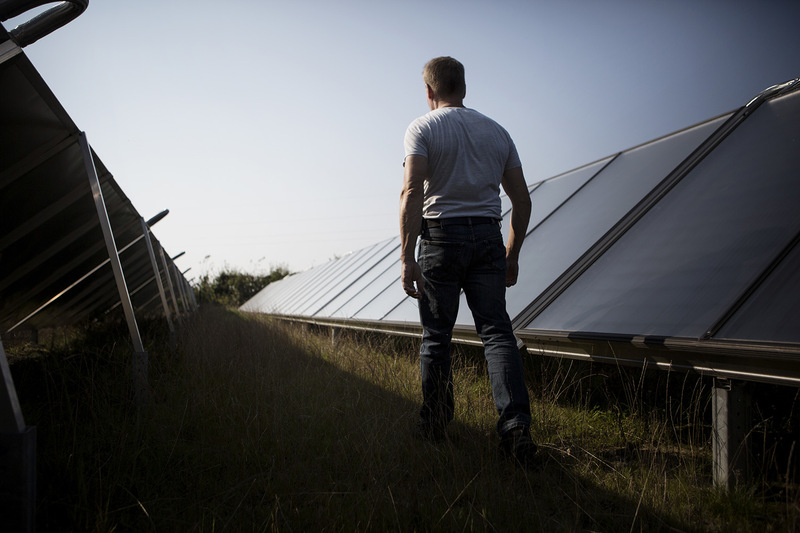 Solar thermal storage, which relies a concept called district energy, has become increasingly popular in Denmark and other European countries. The Gram plant is no longer the biggest in Denmark, but it ranks among them. Sofia Busk for The Texas Tribune These solar panels do not generate electricity. Instead, they produce heat that is transported through a system of underground pipes. That heat warms water that will flow into storage and ultimately heat homes. This is just one of many types of district heating systems in Denmark that connect homes and other buildings directly to a heating source. They are far more efficient than buildings heated with individual electric furnaces or boilers. Sofia Busk for The Texas Tribune Damkjær walks atop an insulated pit that can store nearly 32 million gallons of hot water. Solar panels are an intermittent resource, meaning their output fluctuates. The panels produce the most heat during the summer, when Gram’s heating demand is low. The storage pit holds onto some of that summer heat, allowing it to be used during the winter.Sofia Busk for The Texas Tribune Solar energy doesn’t meet the town’s full heating demand. The plant also features an electric boiler, a heat pump and a small natural gas-powered engine that can keep the water at proper temperatures if needed. Damkjær and his handful of employees try to use them sparingly, generally when they are cheapest to run. Sofia Busk for The Texas Tribune Damkjær has been with the heating district for 14 years, and he has worked as a volunteer firefighter here for even longer. He says both jobs keep him connected to the community. The heating district is a consumer-owned nonprofit, which means that “every citizen is also an owner of this,” Damkjær says, and this allows the organization to make investments that they hope will pay off in the long term. Sofia Busk for The Texas Tribune Reporting for this series was funded through a Transatlantic Energy and Climate Network fellowship, a project of the nonprofit Heinrich Böll Foundation in Washington, D.C. A complete list of Tribune donors and sponsors can be viewed here. 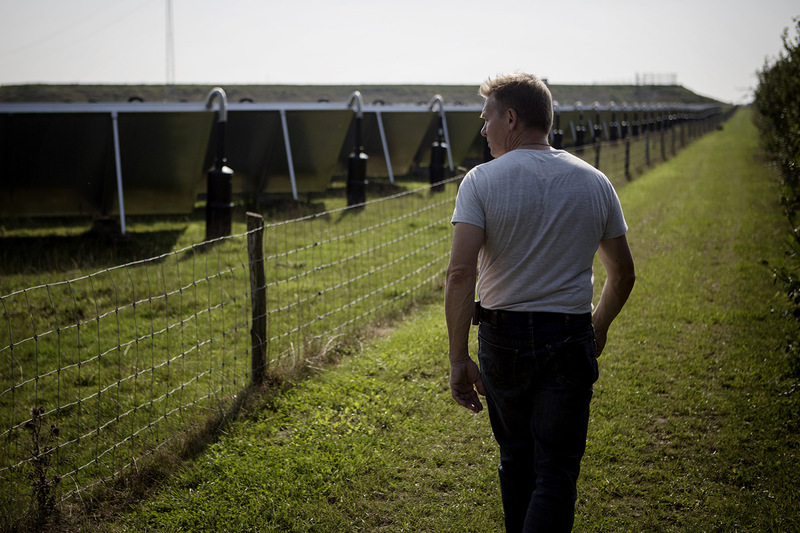 "Photos: Denmark town hopes today's solar energy will pay off tomorrow" was first published at by The Texas Tribune, a nonprofit, nonpartisan media organization that informs Texans — and engages with them — about public policy, politics, government and statewide issues. 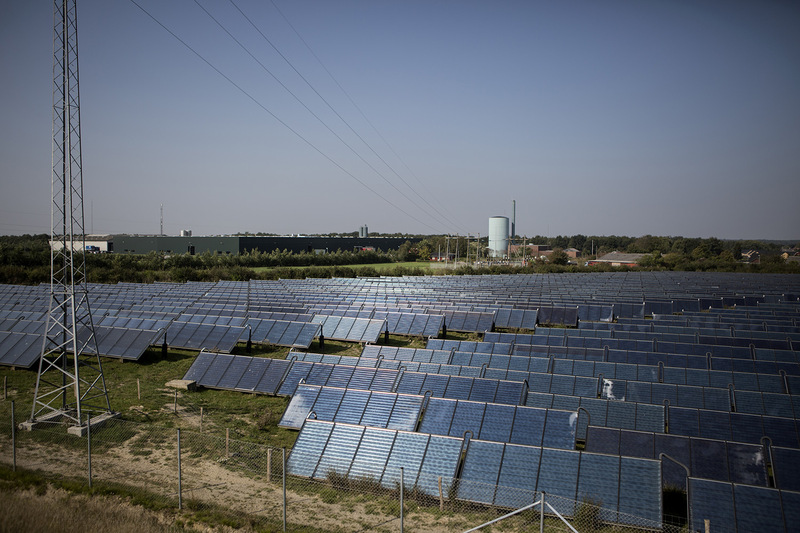 Link back to the original article, which is located at https://www.texastribune.org/2016/11/22/denmark-solar-energy-slideshow/.